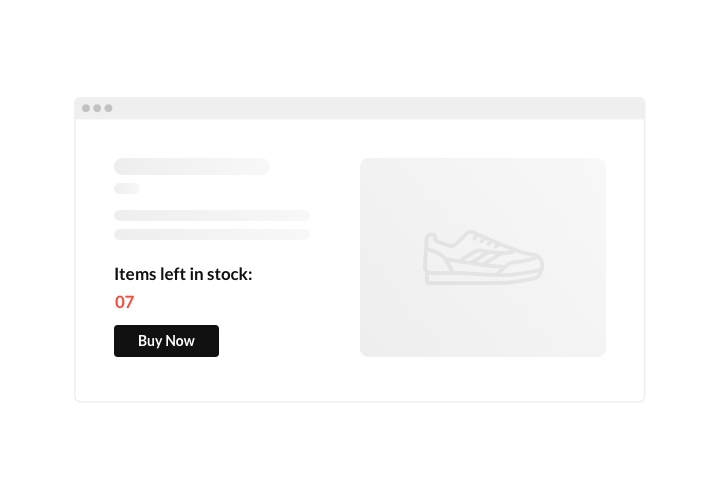 Set floating or fixed sales bar and promote offers with in-build redirection. 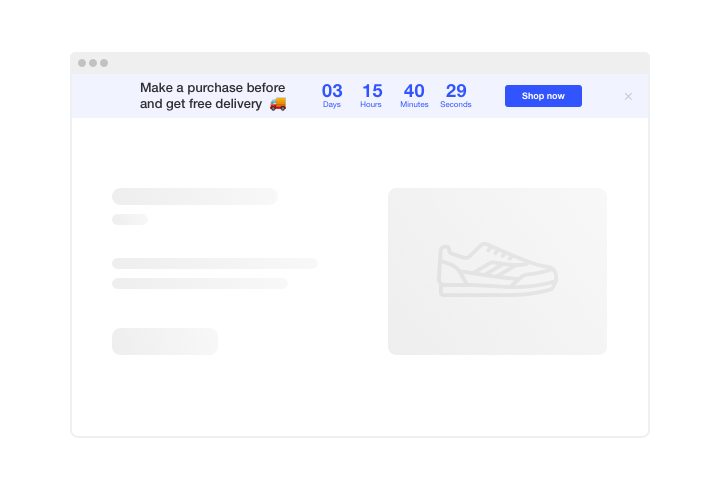 An item stock counter going down will make a purchase look like "now or never"
You can use Elfsight Countdown extension to design your custom counts and timers, which will encourage customers to shop more on your website. 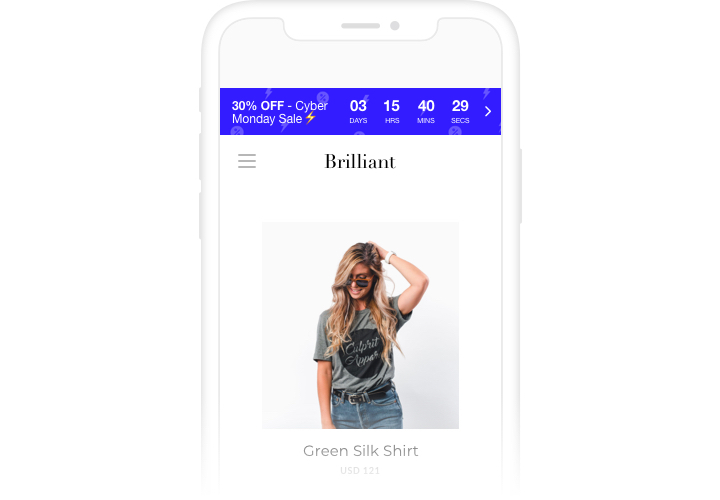 Stock or sales count will build a feeling of limited availability and competition; sale countdown will push shoppers to purchase before the sales is over. 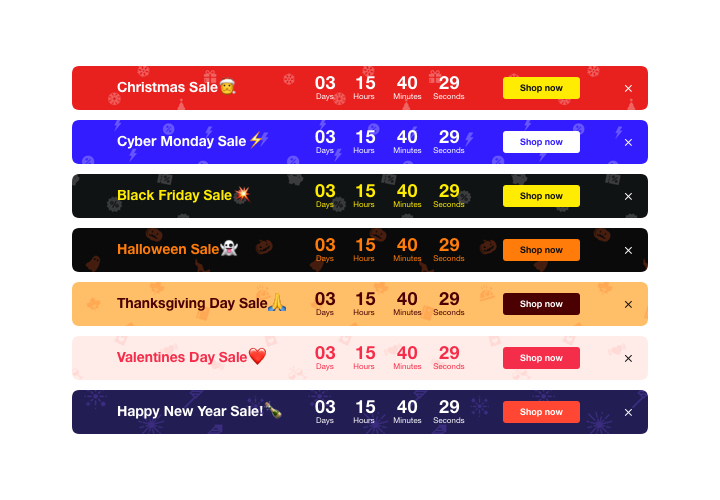 An individual countdown will encourage each client to use a personal offer faster; holiday sale banners will draw more attention to your goods thanks to theme decoration. Increase shopping enthusiasm and push visitors to shop more. Inspire audience to purchase on your site by bringing a sense of urgency. Make your audience feel a fear of losing your profitable offer and sale with time ticking down to the finish of it. It will make users buy quicker and grow sales on your website. Demonstrate the stock going down in order to increase items’ value. Set a sense of competition for your offers by demonstrating how the number of purchases is raising and the stock is getting lower. The perceived value of the items will grow and clients will want to buy them too. 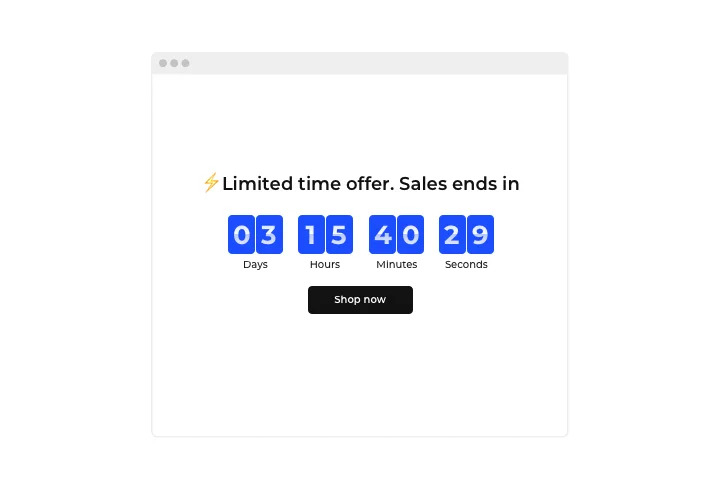 Entice more attention to your sales via a bright holiday-style timer bar. With the help of eye-catching theme bars, you can demonstrate your seasonal special offers and sales. Get maximum from high season to uplift sales on your site. Clean design ensuring seamless integration into any website concept. Discover full set of advantages in demo! An approximate duration of the process is just 70 sec., plus you do not need knowledge in web development. Get the extension and install it on the site. Select a desired version of the widget and get its file. Add it on your site via «Extension Installer» in the administrator panel. In «Extensions» section, adjust sorting by module and find Countdown Clock. Then, set desired parameters of the interface and functions. Integrate the extension on the site. Find a page where you want to add the widget and paste the extension code there. Publish all the edits. Open your website, to see your extension! In case you experience any problems with creation of the extension or its settings, you can contact our support team. 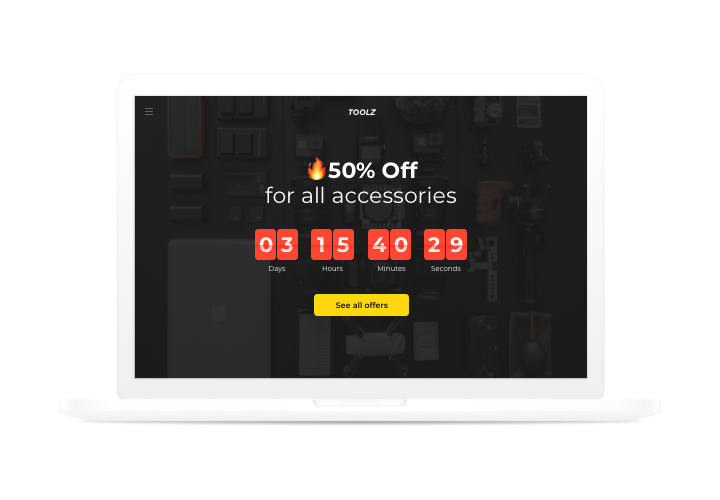 Construct your OpenCart Countdown Timer in only 3 mins! You can customize the widget in a couple of clicks and add it to your website right from the demo. 14-day money back guarantee. Risk-free, you can cancel at anytime. Why is my Instagram Feed not working?